We’re a sucker for reunions, especially if it’s the iconic Jonas Brothers’. It has been over a decade since the release of their last album, and this may have been one of the most demanded comebacks anticipated. The group announced their return on February 28th on social media, which shared a picture of the three brothers, Nick, Joe, and Kevin, with the title “Sucker” on the bottom corner. “Jonas Brothers” was trending on Twitter for over a week, and one could say the Jo-Bro fandom was extremely excited for their return. The Jonas Brothers’ new single “Sucker” quickly topped the Hot 100 chart at No. 1, thanks to 88,000 sales and 43.7 million streams in the U.S alone. The American pop-rock group quickly rose to fame in the mid- 2000’s and can attribute this to their Disney Channel exposure (Camp Rock, Jonas Brothers LA). Their last album to date, titled “Lines, Vines and Trying Times”, was released in 2009. The group mainly broke up because there was a big disagreement over the direction their music was going. 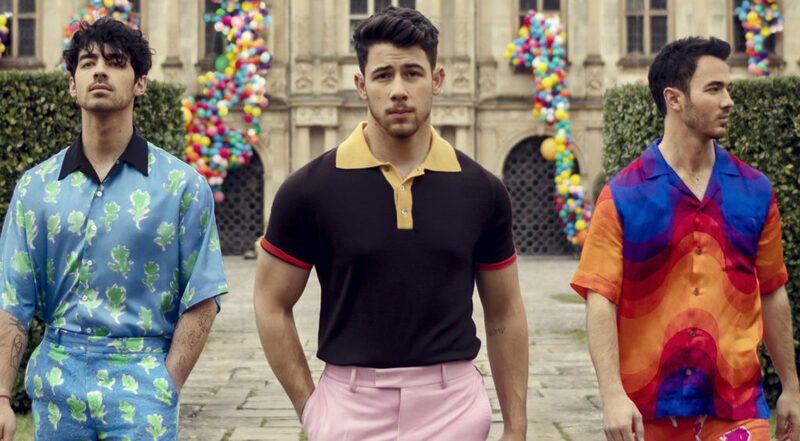 After the breakup of the group, Joe formed the band DNCE, Nick pursued his solo-singing career, and Kevin became co-CEO of an influencer marketing company and formed a partnership with a video-sharing app. There is also a rumored tour for their possible next album, but so far the group has done one live-performance for “Sucker” on the Late Late Show with James Corden. So prepare to bring out your old Love-bug shirts, and Jo-Bro posters because the Brothers’ are back and here to stay.